What is the impact of tremor in MS? What can I do to manage tremor myself? What treatments are available for tremor? Tremor is involuntary, uncontrolled movements of parts of your body. You might experience tremor as twitching or jerking, or as shaky, trembling movements. Tremor is a common symptom that is found in many neurological conditions, including Parkinson’s Disease and MS, but it can also run in families unaffected by other underlying conditions. In multiple sclerosis, tremor is usually associated with ataxia, which are problems with co-ordinating body movements. In multiple sclerosis, the most common type of tremor is intention tremor or cerebellar tremor. This is a tremor that worsens as you use the affected limb, for instance the arm shaking as you reach for an object or try to touch your nose. Some people with MS may experience postural tremor, which occurs when you are maintaining a particular posture, such as sitting upright. The National Tremor Foundation has a full explanation of the different types of tremor. Between 25% and 58% of people with MS experience tremor. It is a common symptom of MS, often appearing alongside co-ordination problems (ataxia). Most tremor cases in MS are relatively mild. However, up to a quarter of tremor cases in MS are moderately to severely disabling. Tremor can interfere with gait and balance, and also commonly affects the head, arm and hand. This can be very frustrating and disabling in that tremor can interfere with your ability to perform daily tasks like eating, dressing or writing. Tremor is usually considered to be part of ataxia, and can be limited to one part of the body, or affect the whole body. People with MS who have tremor as a symptom are less likely to be in work than those without tremor. An intention tremor in the hand can make it hard to do detailed or delicate work, such as surgery, art or decorating. Stress, anger and anxiety can make tremor worse, as can caffeine and extremes of temperature. Having poor eyesight, numbness in the body or a loss of the sense of where your body is in space can also make tremor worse, and harder to manage. These problems can contribute to people affected by tremor having more frequent falls. Tremor can be a progressive condition, getting worse over time. However, it is found in people with both relapsing and progressive forms of MS.
Tremor in MS is different to that experienced with other conditions, so treatments are not automatically the same. For example, tremor in Parkinson's Disease relates to a lack of dopamine, and the tremor is normally seen at rest rather than with movement. For most people experiencing tremor, adaptation is key to managing daily life. An occupational therapist may be able to offer advice on techniques or equipment that can help at work or with writing or other tasks. Small changes like increasing the size of your keyboard or using voice-activated software can reduce the impact of tremor on your life. The worry over having a fall, or failing to co-ordinate your body as you wish may result in you spending more time sitting down. Try to avoid becoming inactive, as regular movement and exercise is important to helps your whole body remain strong. Developing stronger core muscles can reduce the impact of tremor in walking and changing position. A physiotherapist may be able to show you exercises to strengthen the muscles that are affected by tremor and focus your attention on moving them well. Elastic support bandages, small weights, or wearing lycra garments or cooling garments can also help to stabilise the part of your body affected by tremor. Physiotherapist Wendy Hendrie has some useful tips for dealing with ataxia and tremor in the blog article she wrote for us. Tremor can interfere with eating a balanced diet, and so weight fluctuation is common. You might find it difficult to eat enough to stay healthy, or find that you are missing key food groups because you find them hard to eat. Wendy Hendrie's advice is to eat frequent small meals so they don't get cold and unpalatable before you finish them. A speech and language therapist can help with swallowing exercises and problems with speech. If you have tremor, you may find that friends suggest taking an alcoholic drink to steady your hands. While it is true that some kinds of tremor are responsive to depressants such as alcohol, this is not usually the case for tremor in MS and there are other issues to consider. For people with MS, the use of alcohol can affect other MS symptoms badly. Balance and co-ordination problems, bladder and bowel symptoms, sleep problems and depression can all be made worse with alcohol use. Excessive alcohol can make tremor worse, and can increase the chance of falls. Over-use or reliance on alcohol can lead to dependency and other health and social issues, so exercise caution. If tremor affects your driving, you need to inform the DVLA. There are no drug therapies that can completely cure tremor. Those that are available have limited effect, and may have unpleasant side effects, including dependency. 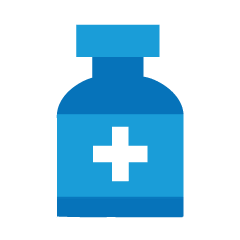 The most common drugs prescribed for tremor are beta-blockers, such as propanolol, anti-convulsants such as gabapentin, and benzodiazepams such as clonazepam, which slow down the nerve messages in the body. Cannabis-based drugs have been investigated in the treatment of tremor, but there is poor evidence to support an effect. Natalizumab improves tremor in some people with MS who take it as a disease modifying drug. Botulinum toxin (botox) has been used with some success to treat intrusive head or face tremor in people with MS. Botox is a toxin that temporarily paralyses a muscle that is otherwise not under control. It eventually wears off, and repeat injections are needed to maintain the effect. If your tremor is severe and disabling, and has not responded to drug treatment, then surgery could be an option. The aim of surgery for tremor is to cut off nerve links to the affected area of your brain, or remove it altogether. 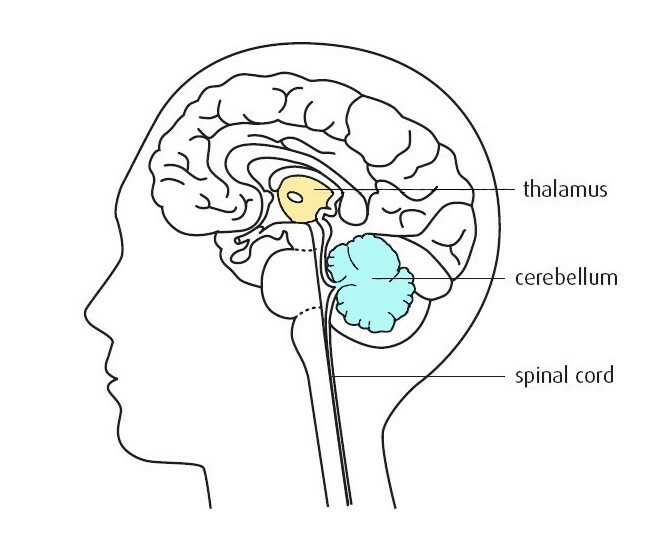 Thalamotomy is the destruction of part or all of the thalamus. Opening up the skull to perform a thalamotomy has mostly been replaced with deep brain stimulation or surgery using non-invasive methods that do not break the skin. Research shows them to be just as effective as surgery, and to have better safety and recovery results. Deep brain stimulation (DBS) or thalamic stimulation, which has been used successfully in treatment of Parkinson's Disease, may also offer an alternative approach to treating tremor in MS. A thin wire is surgically implanted into the brain with a battery-operated pulse generator implanted near the collarbone. The pulse generator sends continuous electrical pulses to the brain, which blocks nerve signals from this area. It has a similar effect to surgical removal of the thalamus, but is reversible if the electrical pulses are stopped. There is a risk of bleeding in the brain with DBS. Non-invasive surgical procedures sound a bit like they belong on Star Trek, but are now found more often in mainstream medical practice. Stereotactic radiosurgery (SRS), also known as 'gamma knife' surgery, uses focused radioactive waves to deliver a very accurate dose of radiotherapy to the brain area that needs to be destroyed. A similar approach is MR guided focused ultrasound (MRgFUS). This takes place in an MRI imaging suite rather than an operating suite, and is well established as a treatment for fibroids or prostate cancer. UK trials on using this method for tremor began in 2017. The high powered focused ultrasound raises the temperature in an accurately targeted brain region, heating up and killing the selected cells while sparing the surrounding brain tissue. Although surgery or similar non-invasive procedures often have a beneficial effect on tremor, the effect is quite variable in MS. In many cases, surgery and non-surgical procedures relieve tremor, but only for a few months before it recurs. It is not clear whether these procedures will affect MS progression, and it can be hard to evaluate how successful they were. Your neurologist or surgical consultant will be able to advise you on whether you are a suitable candidate for surgery, and what the likely outcome will be for you. Ataxia is a lack of muscle coordination anywhere in the body, which leads to tremors and can affect speech and swallowing. Here are practical tips you can take to reduce the impact that ataxia and tremor have on you. How common is tremor in people with MS? Over 41,000 people with MS in the USA were surveyed to find out the extent to which tremor affected their lives. Ataxia is the medical term for lack of coordination, and can be a symptom of multiple sclerosis. Ataxia ,Find out more in this A-Z entry.